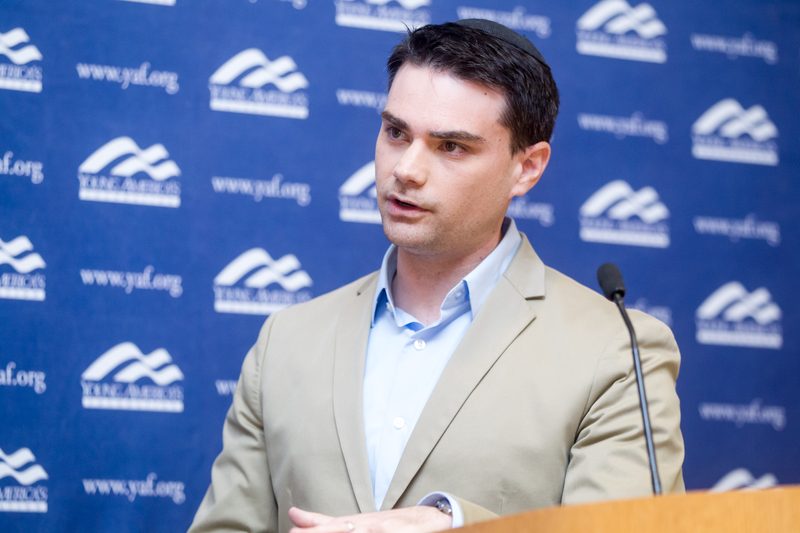 Administrators at Grand Canyon University in Phoenix, Arizona, told members of GCU’s Young Americans for Freedom chapter that they would not “provide a venue” for Ben Shapiro’s planned speech, part of Young America’s Foundation’s Fred Allen Lecture Series. If this pathetic response sounds familiar, it should—that’s exactly what UC Berkeley administrators initially told students when Cal administrators tried to prevent Shapiro from speaking. Allowing Shapiro on GCU’s campus would not be good for the school long-term. Shapiro’s approach instigates a divisive atmosphere. GCU wants to maintain its culture of unity, love, respect and having all student voices on campus heard. Unless, apparently, a student’s voice is conservative. Later in the meeting, administrators whined that Shapiro’s style is too “cut throat” and that his mere presence is divisive. According to the GCU YAF chapter, administrators specifically cited DACA students and what Shapiro may say about immigration. They were also told that GCU’s President, Brian Mueller, signed off on the decision to deny Shapiro a venue. Seemingly unaware of the reaction to schools that block Ben Shapiro, administrators reasoned that in refusing to give Shapiro a venue, GCU would avoid negative media attention. They fear, according to the students in the meeting, that the outside world is watching GCU and waiting to jump on the school for making a mistake. Ironically, this strategy to avoid negative attention is a mistake that ought to be soundly rebuked by students, alumni, and concerned citizens alike. For additional information or to request an interview contact Young America’s Foundation Spokesman Spencer Brown via sbrown@yaf.org or 800-872-1776.